A very popular issue that many people throw around in their head from time to time is whether or not they should jailbreak their iPhone, iPod Touch, or iPad. This little article will tell you the top 10 reasons to jailbreak your Device. As you can see in the picture below, Jailbreaking your device allows you to customize any aspect of your device from unlock sounds, to icon style, to wallpaper on the springboard. 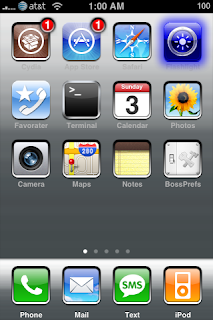 Apple would never allow this, so this is one very popular reason to jailbreak. The standard sms app for the iPhone is lacking. You cannot send quick replies, and you must exit your current app for it to function at all. Also, it is quite expensive. If you jailbreak, you can get a "quick reply" and respond to SMS in the current app you have open, and you can also send free SMS with some apps from the jailbroken community. It is highly worth it. Another reason to jailbreak. In the iPhone 3gs, Apple implemented the idea of video recording into the camera. However, on the first and second generation iPhone this is not possible-until now. With the Cycorder App from Cydia, one can record video on a jailbroken device, as well as take multiple photos at once with an app called Snapture. Two more reasons to jailbreak. Even though Apple implemented Spotlight search into the OS, there are still many others that are not included on the Device, and never will be because they are OS enhancements, which goes against apple's code for the app store. Many of these act similar to apps like Quicksilver for mac, another reason to jailbreak. Apple rejects many apps from the App Store from time to time. By having Cydia installed, you can download all of these rejected apps for yourself, FREE. Also, you can download apps that will never make it to the appstore, another reason to jailbreak. If jailbroken, you can use terminal on your device and execute commands as if it were a computer! Pretty cool, and another reason to jailbreak. Clearly, if you are planning on unlocking your Device, the only way to do so is by Jailbreaking. In the Operating System, if jailbroken, you can download Turn By Turn GPS for your device, which is not available as of yet. 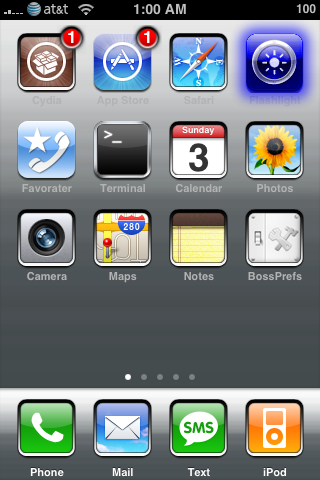 If jailbroken, you can order icons into folders, similar to iPhone OS 4.0. This is very cool, and allows installation of many more apps on your device. 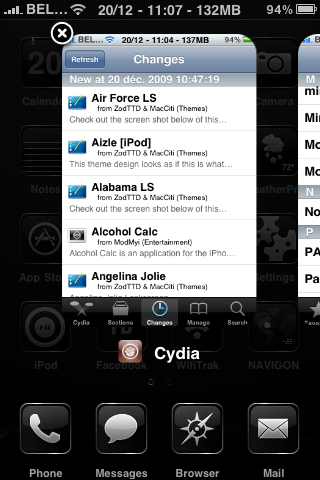 Another cool reason to jailbreak. 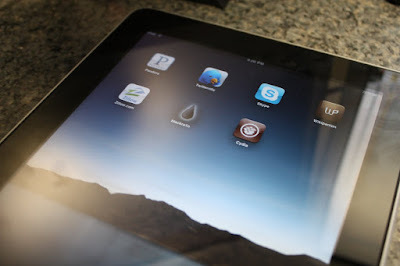 Especially big on the iPad, if you are jailbroken, you can download apps known as "Backgrounder", "Proswitcher", and "Circuitous", to multitask on your device without firmware 4.0. This is very handy and useful, and a screenshot can be seen to the left, just another reason to jailbreak. Overall, these are ten reasons to jailbreak. The benefits outweigh the possibility of bricking your device, as you can always restore. If you have questions, leave them as a comment on this post, subscribe to my RSS Feed Above, and Subscribe to my Youtube Above for future news. Thanks.